My visit to La Jolla at the very end of 2010 was not my first visit to the gorgeous seaside cliffs in southern California. I’ve visited several times, and have even blogged about the experience previously. Though there is not a huge variety of birds, especially in winter, the birds that are there are acclimated to people by the constant stream of tourists and sight-seers, making up for the lack of variety. In past visits I have focused on the gulls and shorebirds of the rocky coast but on this visit, the first one I have made since I became a father, the focus was much more on Desi. 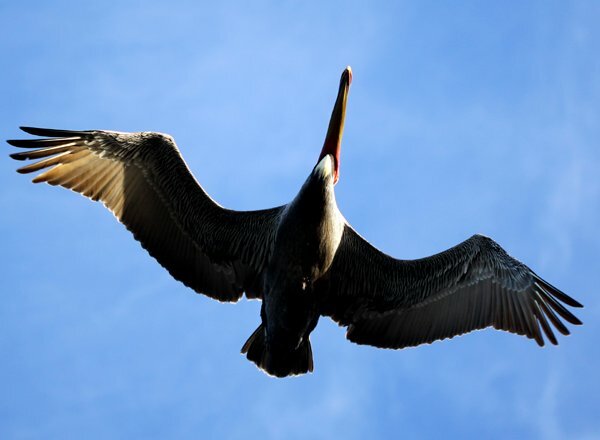 His focus, fortunately, was on the pelicans, which he thought were great. It was not hard to see why, as the wind was blowing pretty hard off of the Pacific Ocean, causing a nice updraft where the wind met the cliffs. 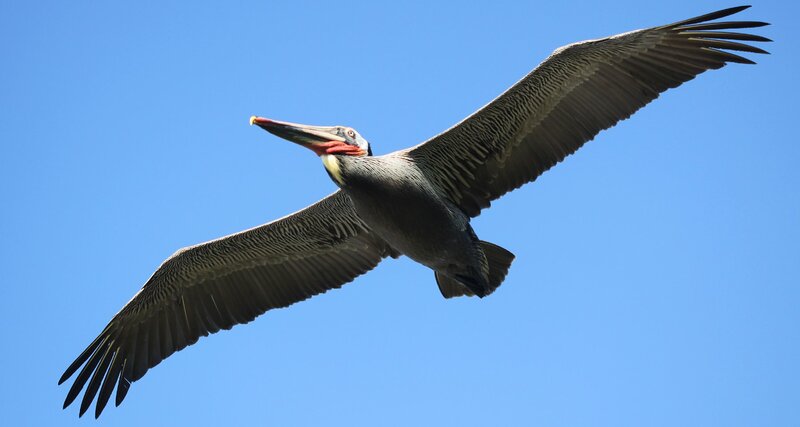 This meant that the pelicans were soaring close by, often at or below eye level, a real treat! At one point there must have been a surplus of food available just offshore because every pelican, cormorant, and gull made for the spot. It was quite the spectacle and made me wish that I had my scope because I am convinced that there were shearwaters out there too. 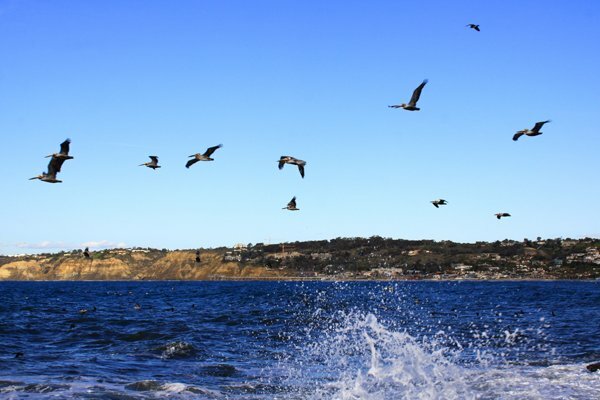 La Jolla always provides some kind of a spectacle for a naturalist and I never regret visiting. If you are ever in the San Diego area make sure to make your way to La Jolla. You will love it! I am a san diegan native going home this weekend sadly enough to bury my dad. We homeschool and I was searching a variety of la jolla animal topics to study and observe with my 12 yr old daughter when i found your site. Thanks for sharing, i cant wait to be back home for a week even under such circumstances. Staying in a cottage in wind n sea, la jolla.